Bright sunny skies, butterflies, daisies, lemonade and love -- doesn't this just scream Summer to you? This pretty card is made using a base from April's Card Kitchen kit by Jillibean Soup. 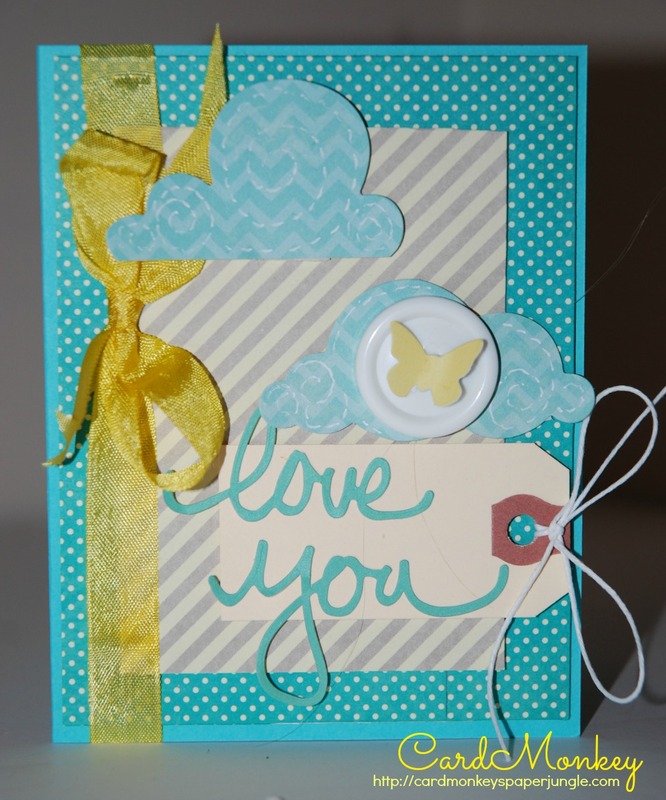 I added a sweet yellow butterfly and complemented the card using Lovebug Creations' Rumple Ribbon in Lemonade. I just love all of these fun, refreshing elements on this card -- how about you? What a beautiful card - love the colors!! Love the yellow ribbon on the card! i love this!! your work speaks to me!! I love yellow and turquoise together! This looks dreamy! ooh, I love the yellow...it is so sunny against the blue!